I’m at a place called Da Meme and just had a 4-cheese pizza (woo lard). Here’s what gets me – why do some places refuse to give me a bread basket EVEN THOUGH they’ll charge me for ‘coperto y pane’ on the bill? Is it because I’m dining solo? That I only ordered a pizza? That I’m a dumb American female tourist who supposedly doesn’t know better? I almost want to inquire, but I’d feel ridiculous complaining about a few pieces of bread. My days on the Amalfi coast were punctuated by hill treks, bookended by croissant breakfasts and pizza dinners (apparently sans bread). 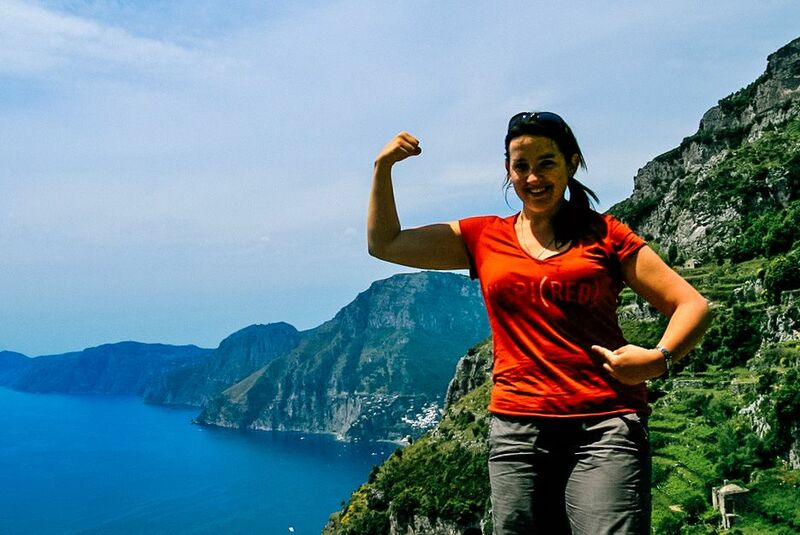 My carboloading was completely necessary, since I was tackling two half-day hikes and, you know, needed that energy. 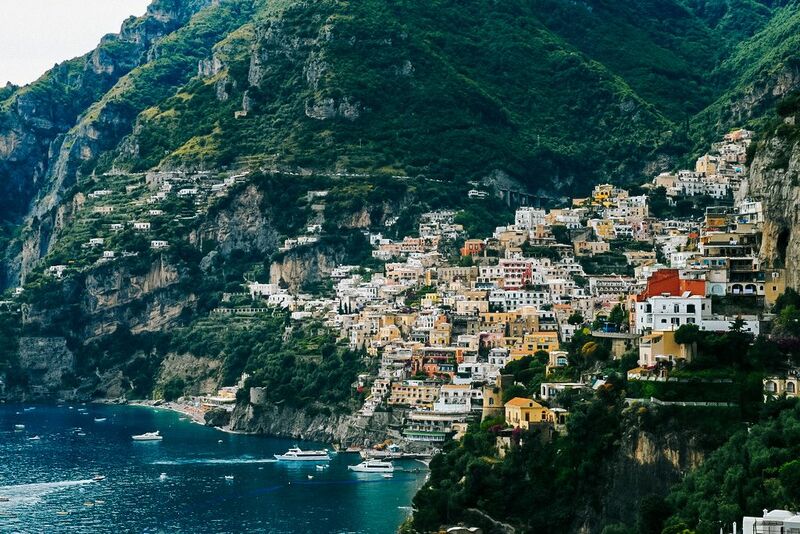 Amalfi and Positano are the two main towns on the coast, the latter being more touristy and expensive. 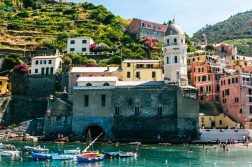 I was based in Atrani, a village very close to Amalfi that I found far less crowded, yet conveniently located. 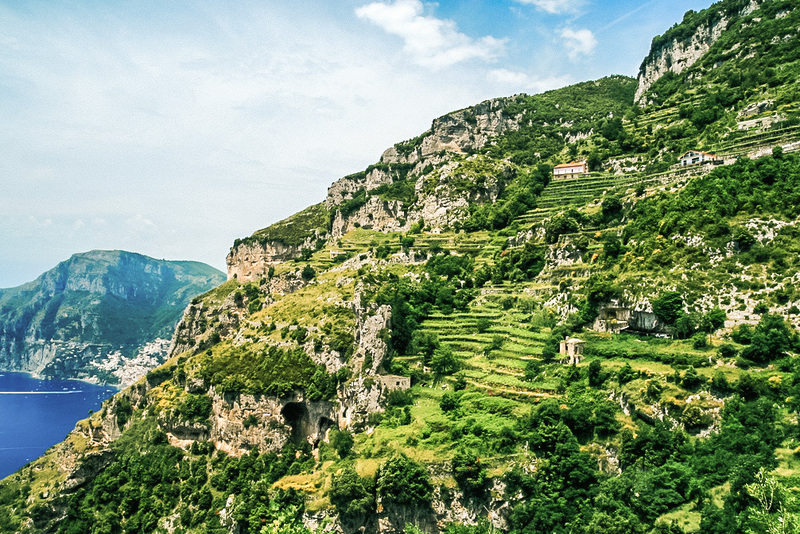 Being in or near Amalfi is ideal for taking on the two Amalfi Coast hikes I did: Valle delle Ferriere and Sentiero degli Dei. 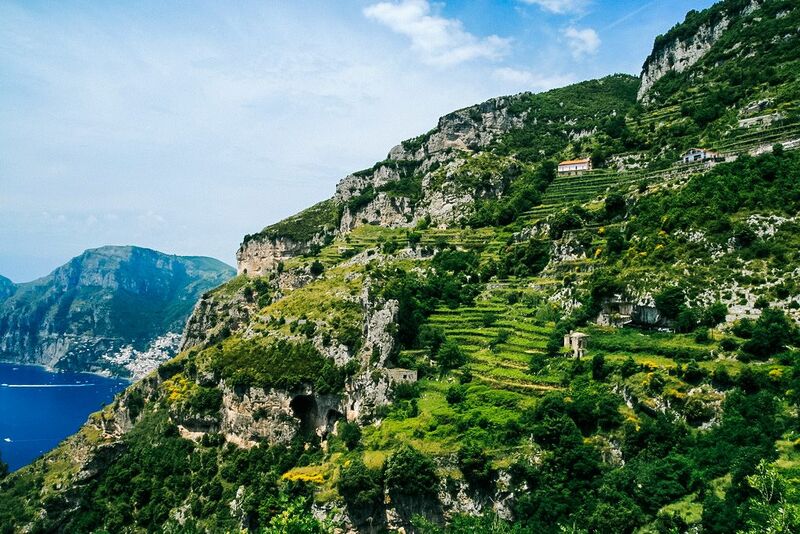 Hiking Amalfi Coast to catch these views. 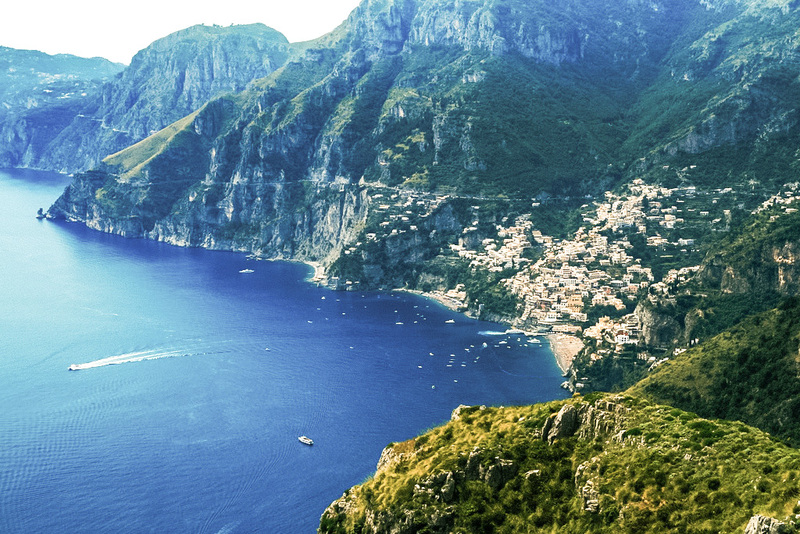 Note: The start and end of this Amalfi Coast hike aren’t entirely obvious – or at least they weren’t in 2007. I recall not knowing how far back to go to reach the trailhead and thinking I had passed it, then not being able to tell at the end which random little side street downhill led to the main road vs. someone’s home. All part of the adventure, I say! 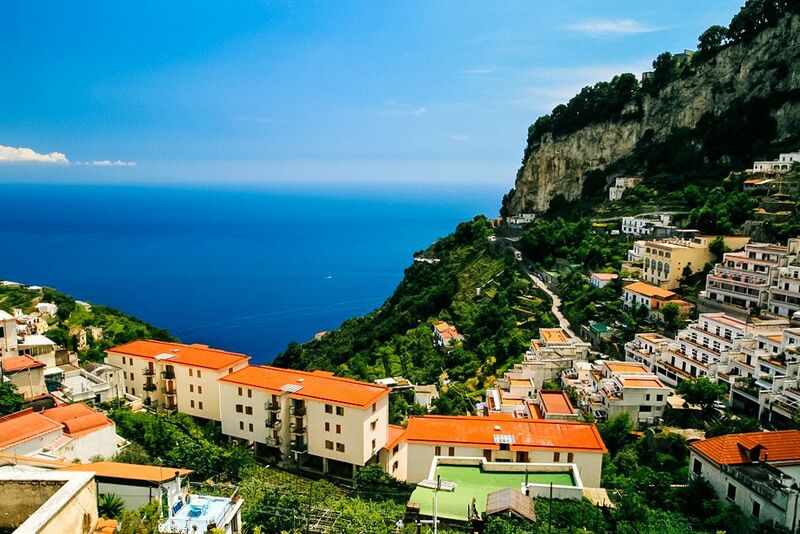 To start this walk, head inland up the main street in Amalfi. Past all the shops, you’ll soon find a steep set of stairs that you’ll take up into the hills. This is the least fun and most exhausting past of the walk, but once the ascent is over the rest of it is a breeze. 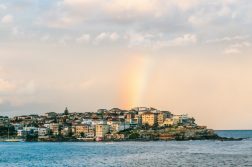 Straight off the stairs you’ll reach the small village of Pogerola, a fantastic place to reward yourself with a snack or drink with a view. The trail continues inland along the mountains, weaving in and out of woods, past streams and the occasional waterfall, and constantly opening up to sweeping views of the valley and coast. 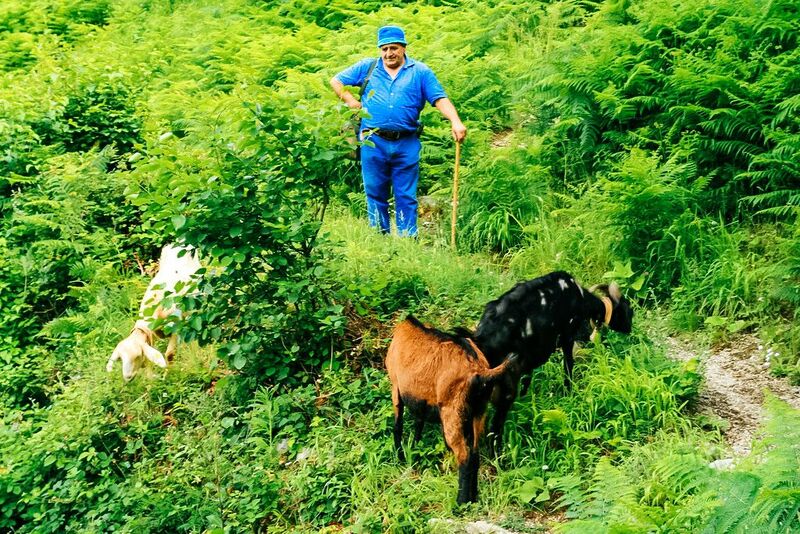 My only companions were the occasional flocks of goats passing by, goatherd in tow. Glorious! 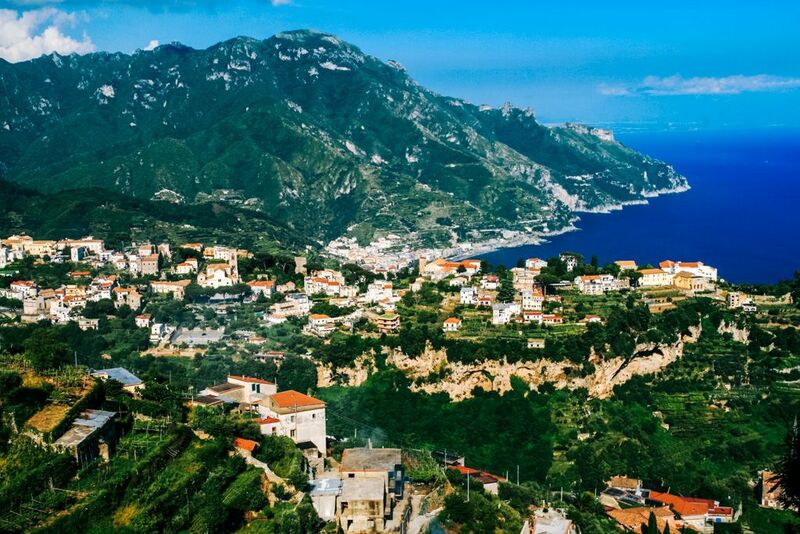 The second half of the walk leads away from Amalfi toward Ravello and Scala, through villages with homes nestled amidst terraced gardens and lemon groves, and views of the Mediterranean TO DIE FOR. I could have hung out (dined, slept, lived, whatever) here forever and ever amen, that’s how stunning this part of the Amalfi coast is. 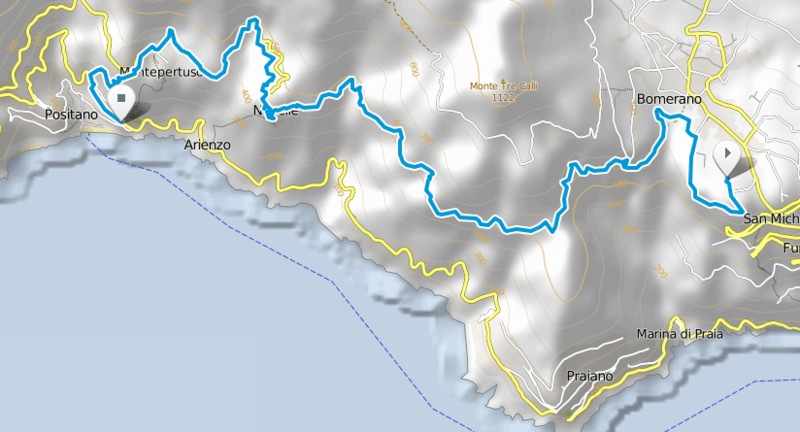 Note: The start of the walk in Praiano is very tricky to find, and the long initial hike uphill is no joke, so be sure to bring a map and plenty of water! I… did not. Alternatively, you could start the hike at a higher elevation, if you can find a way to get to Bomerano (by public transport, it requires 2 buses). 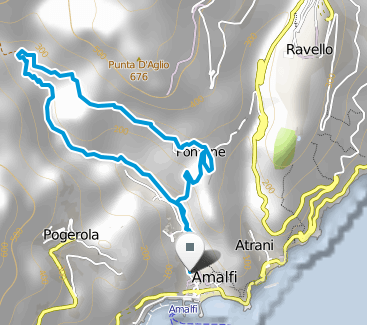 To get to the trail, you can take the train from Amalfi to Praiano. If you heed my advice above and bring detailed directions and/or a map, it won’t take you 45 minutes of fumbling around in town to find the starting point like it did for me. 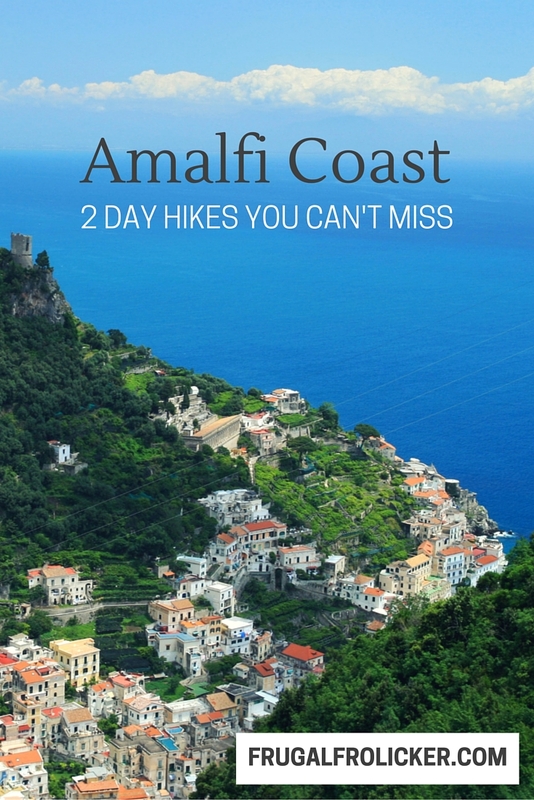 This Amalfi Coast hike begins just above the Convent of St Domenico. 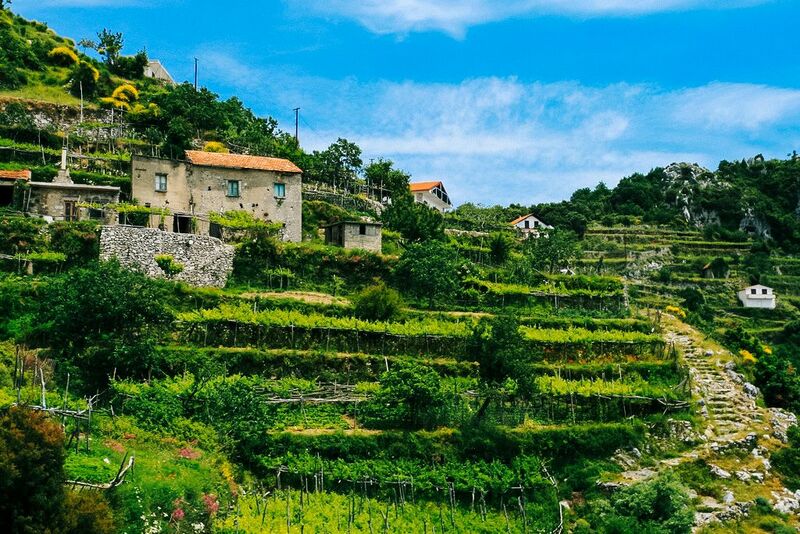 As in the Valle delle Ferriere hike, the Sentiero degli Dei starts with an uphill trek from Praiano – except here, you have 1000+ steps to climb. Yeah, like I said – no joke. 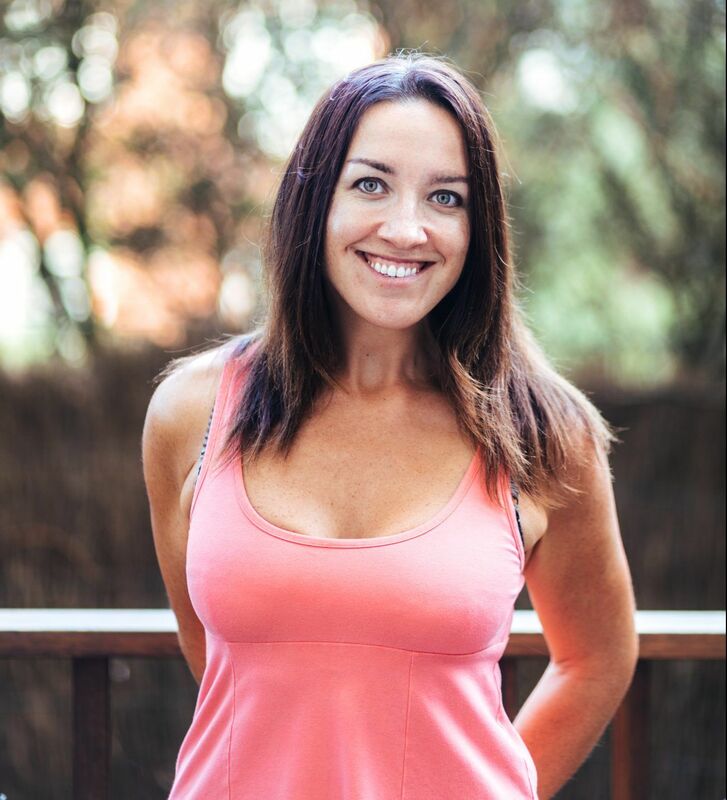 I felt like I’d inadvertently signed up for boot camp on my holiday as I sweat through my clothes ten times over. Sentiero degli Dei is less wooded than Valle delle Ferriere, providing constant views of the coast as you inch closer to Positano. I wasn’t mad about it. 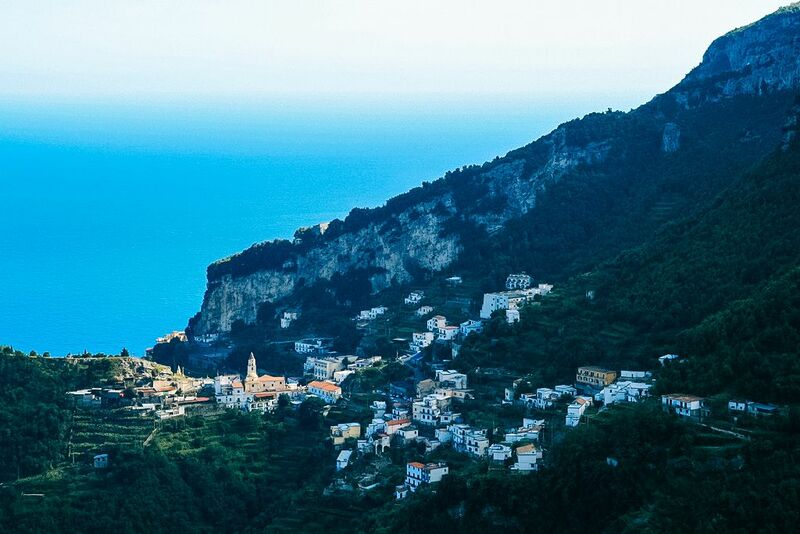 As I approached the village of Nocelle I was intent on grabbing lunch and letting my legs recover (or more like letting my sweat dry), but would you believe that I somehow ended up leaving town via 1700 stairs down to Positano instead? Winging it and consequently getting hopelessly lost proved to be a running theme during this Italy trip. 7 years and many trips later, I still have the same style of traveling, albeit with a slightly better sense of direction. So… about those 1700 steps downhill. You’d think it’d be a breeze, but steep declines are often more uncomfortable than steep ascents. I could push my screaming thighs uphill, but there wasn’t much I could do to remedy my shaky knees going downhill. 22 years old and not a clue how to shape my own eyebrows. 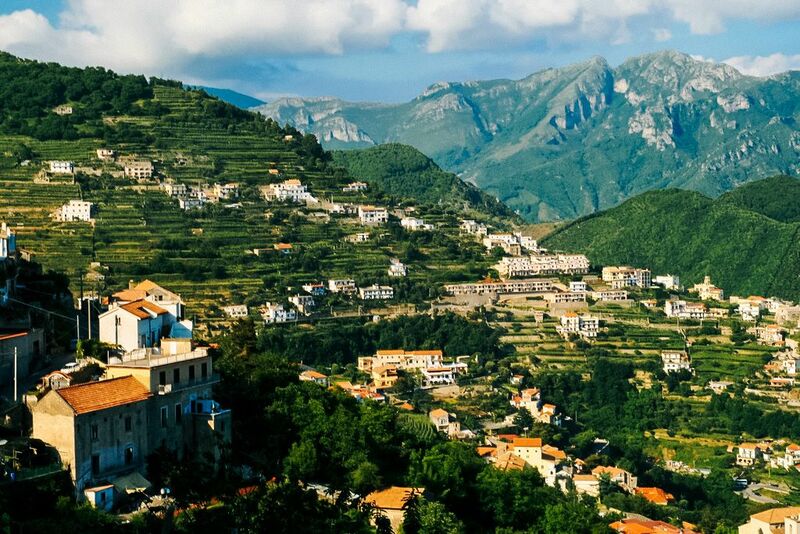 Which Amalfi Coast hike should you do? 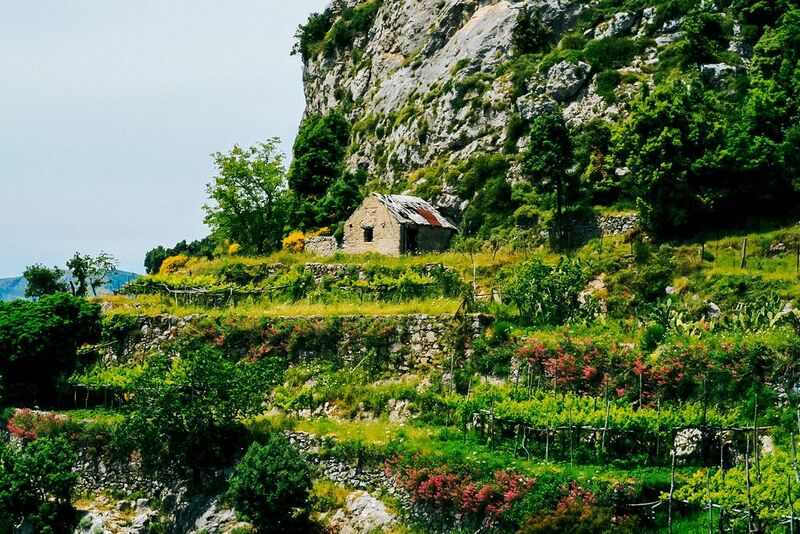 If you can only do one, I’d recommend Valle delle Ferriere. 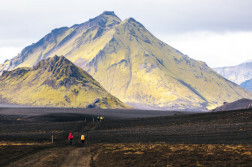 It’s easier to get to/from, easier to walk, is less trafficked and has more varied scenery. Sentiero degli Dei is more demanding, but it carries more bragging rights and the views are more dramatic. 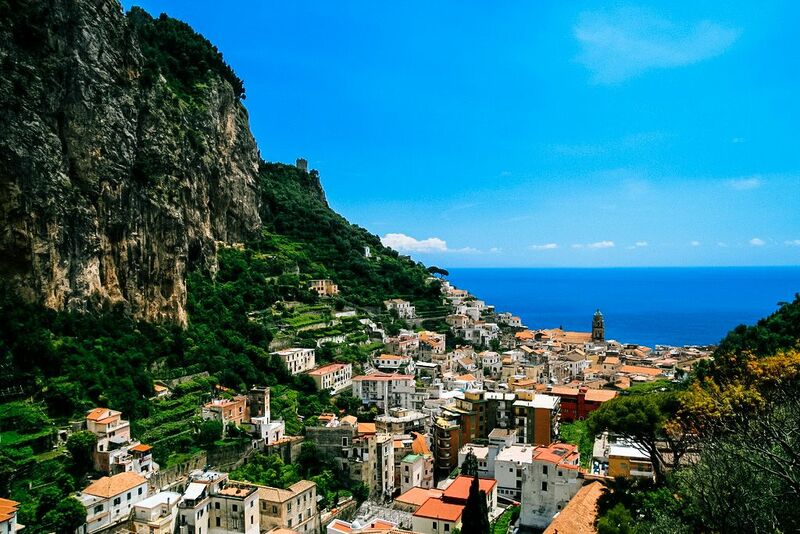 No matter what you decide to do, be sure to get out and enjoy hiking the Amalfi coast from every which vantage point! You could do worse than those yielded by these two hikes.